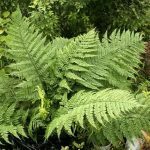 Ferns – You can buy plants online by simply clicking “Add” under the photos below and then proceed to the checkout when ready. Ferns are ancient group of plants that have been around for more than 300 million years. 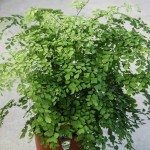 They are green flowerless plants with divided leaves that tend to grow in damp, shady areas. Though they prefer damp climates, they are prevalent all over the world, including the Unites States, Europe, Asia, Africa, and New Zealand. As we know them now, most ferns are leafy plants that grow in moist areas under forest canopy. 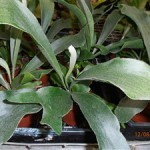 There are several different species and varieties that have been grown as house plants since the late 19th century because they are one of the fastest growing, least demanding, easiest to care for plants for growing indoors. They grow best in bright, indirect light without any full sun. They should be planted in rich, light, slightly acidic, well-drained soil. Once established, ferns require a yearly application of organic matter such as manure or organic compounds. They tolerate dry soil for USDA hardiness zones 3 through 10. Higher plants have a very robust propagation system: the pollen from the male flower is very hardy, and the female nurtures the seed until it is ready to grow. The seeds themselves are often very durable, before they grow are able to wait for long periods in adverse conditions. Ferns enjoy spending the summer outdoors in the shade of a tree, but the transition from outside to an inside environment can be quite traumatic for many plants, depending on the degree of change in light and temperatures. 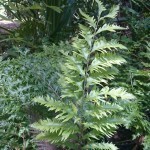 Ferns are susceptible to few pests. The pests include mealy bugs, scales and hemispherical scale. Moreover, ferns are very prone to spider mites as well. Scales are the most damaging pest for ferns, causing an infected plant’s fronds turn yellow and drop off and leading to plant death. How to take care of ferns? 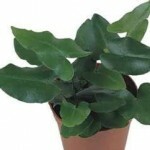 Inspecting the before buying it is a good way to avoid pests, never buy a plant with even a slightest sign of pests. Ferns will grow where other plants fail to thrive and most do well in rich, well-drained soil with an abundance of organic matter. 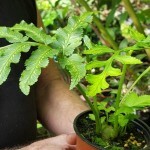 Ferns grown under proper conditions are healthy and naturally resistant to pests and disease. 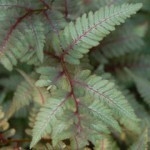 Ferns – Useful for cooking, healing, decorating and more. Fiddle head ferns are a popular variety of fern used in cooking. Many people affiliate the taste of fiddlehead with asparagus or artichokes. 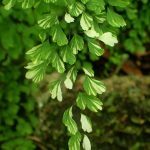 The delicate lady fern – roll a frond between your palms and mash it. The juice eases the burn. It is often used to treat stomach disorders such as diarrhea and parasites. Throughout the world, ferns have been used as a source of fuel, as fertilizer, insecticide, building material. Moreover, some species of fern could be used as bio fuel, as well. 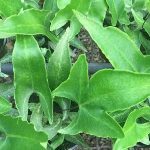 We here at Rare Plants deal in selling Online Plants such as edible plants , Anthuriums , Carnivorous Plants , Hoyas, and many more with lots of variety at the best possible price.